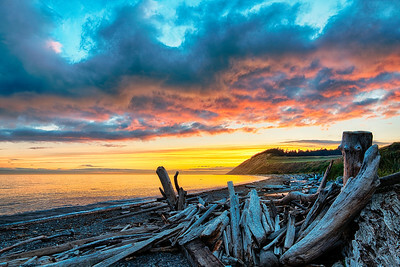 Images within Ebey's Landing National Historical Reserve on Whidbey Island. 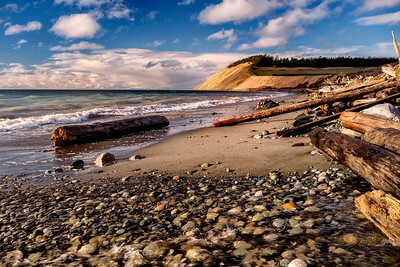 Legendary Ebey's Landing with blue sky, puffy clouds and seasonal runoff from the prairie above streaming across beach rocks. 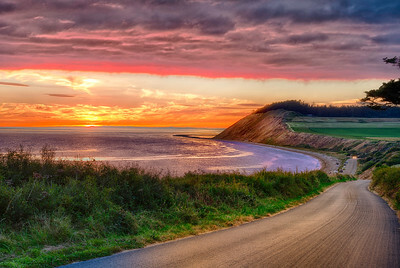 A springtime sunset view from Hill Rd. 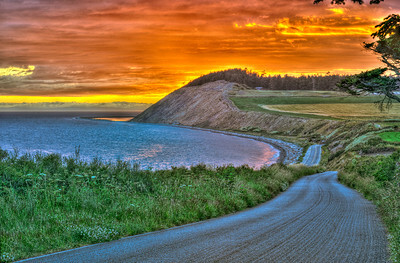 to Whidbey Island's iconic Ebey's Bluff. 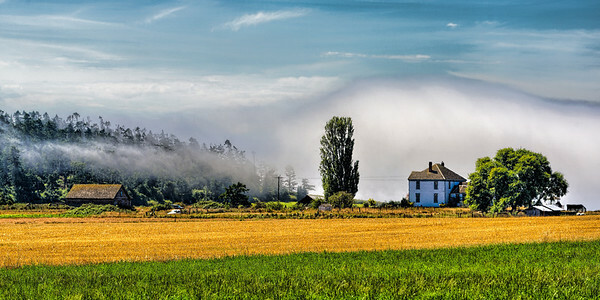 Hill Road drops down toward Ebey's Landing while ripe crops glow on the prairie. 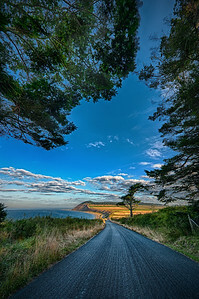 Hill Road view of Ebey's Landing and bluff. 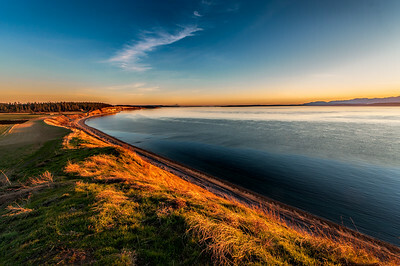 A sweeping view from Ebey's Bluff toward the Ferry House, Ft. Casey, Ledgewood Beach and Mt. Rainier, with the curve mirrored in a wisp of clouds. 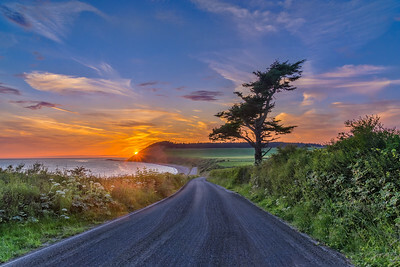 Hill Road and Ebey's Bluff frame an infinite variety of sunsets. 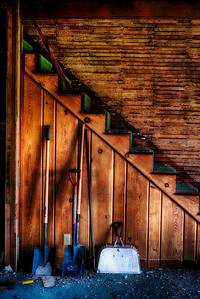 Sorry about the "proof" watermark; trying to get rid of it. 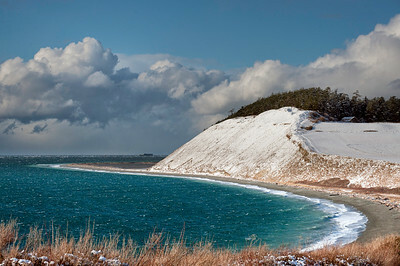 Ebey's Landing in Snow: January 2012. 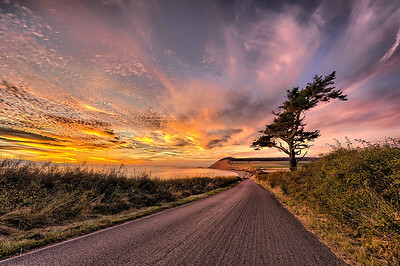 The Road to Ebey's Landing: a.k.a., Hill Road, in Ebey's Landing National Historic Reserve at sunset. 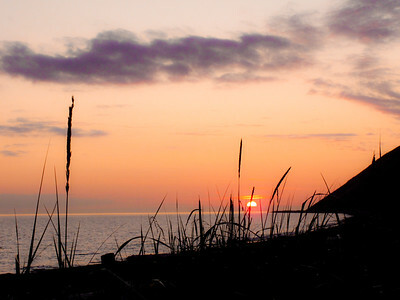 Another Ebey's Sunset: at Ebey's Landing National Historical Reserve and Admiralty Inlet. 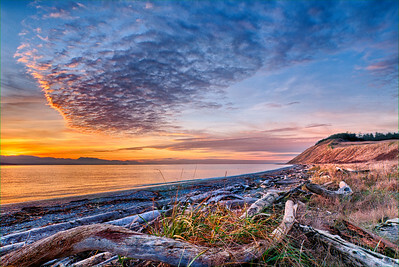 At Ebey's Landing on Whidbey Island. 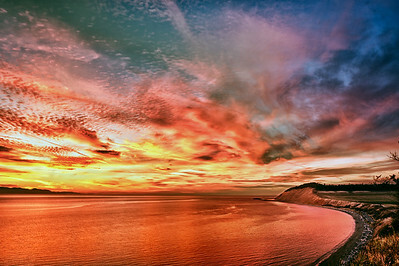 Extreme Ebey's Sunset: a high dynamic range (HDR) photo of the beach at Ebey's Landing National Historical Reserve. 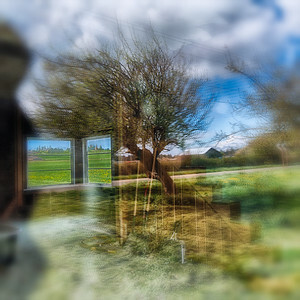 A composite of multiple interpretations of the same image from the historic Perkins House on Ebey's Prairie. 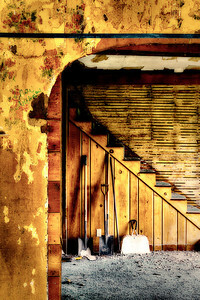 A pause in the demolition phase of restoring the Perkins House on Ebey's Prairie. 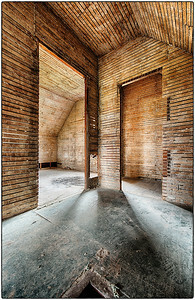 Inside the Perkins House on Ebey's Prairie during renovation.